A very nice "Prototype" Folder by Jim & Joyce Minnick. 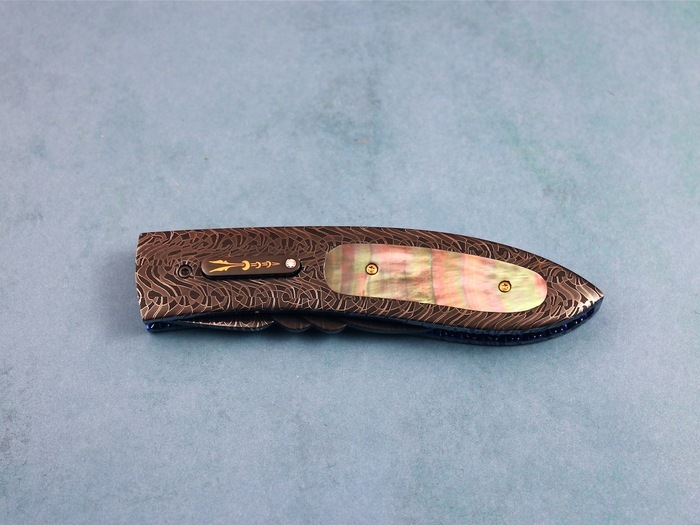 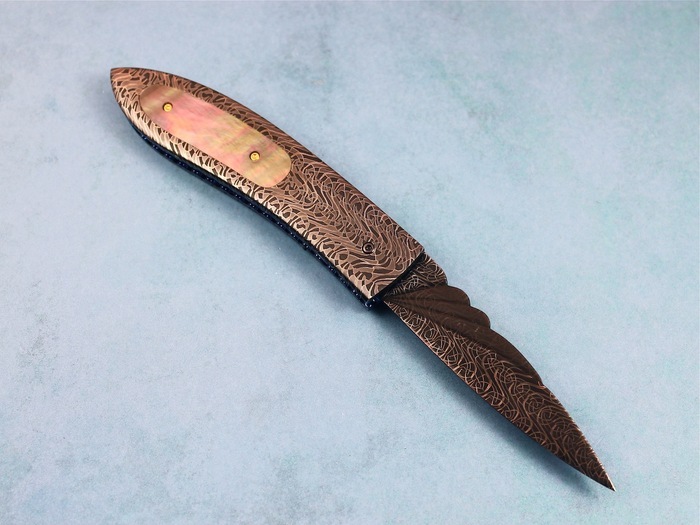 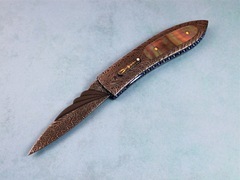 This knife has beautiful Black Lip Pearl and awesome Damascus steel. 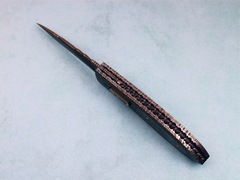 The blade has been nicely carved. 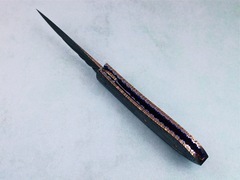 It has an engraved release with a diamond on it.